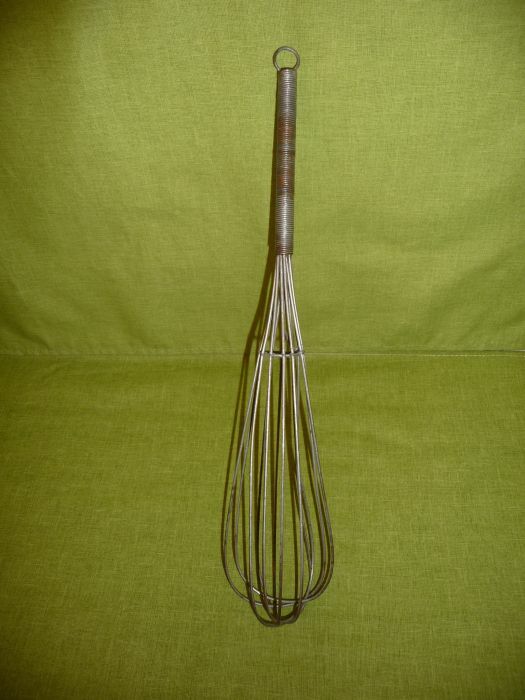 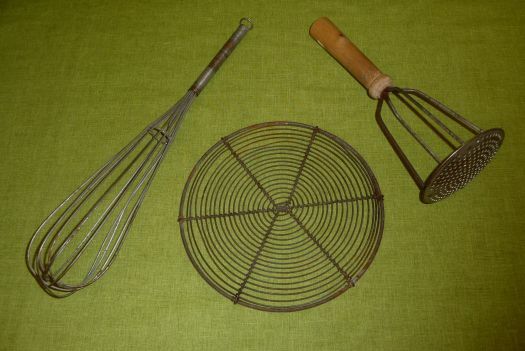 This is a set of 3 kitchen tools. 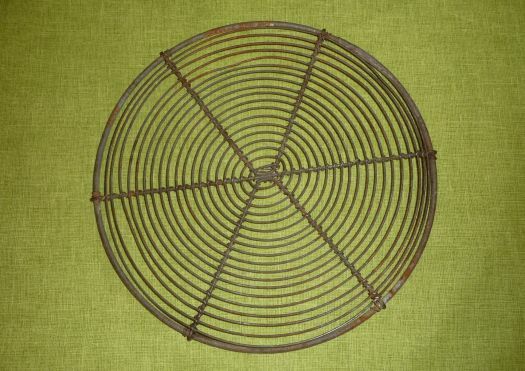 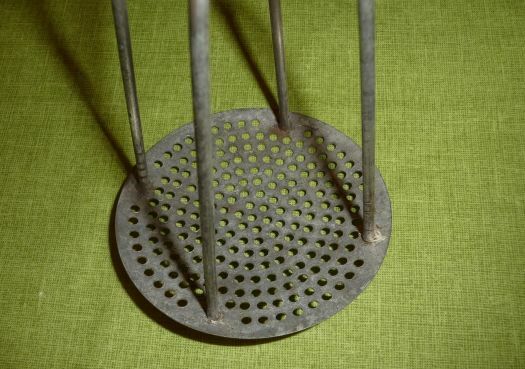 The round iron item is a little rusted ; it is used to display hot pie in waiting it begins less hot. 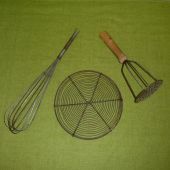 You may request other details.